I am so grateful to all that took the time to review the latest Adirondack Family Time guidebook. "A companion to the previously published Adirondack Family Time: Tri-Lakes and High Peaks Regions, this volume's subtitle explains its objective well: "Your Four-Season Guide to more than 300 activities." It's categorized by town and season with maps, helpful tips, entertaining trivia, and inside games. Included are 58 easy hikes, 33 swimming spots, 30 museums and historic sites, apply-picking, ice-skating, art venues, and many others. GPS coordinates are provided for easy location. The territory which is throughly covered extends from Cahzy to Ticonderoga. If you're looking for something to do in that area, turn to this book which seems to have left no stone unturned." "Chase describes 58 hikes, 33 swimming areas, 30 historic sites and other family-friendly activities, with options for all four seasons. Unlike most hiking guides, which focus on longer backcountry trails and wild areas, this book includes many "mini-hikes and walks," little-known trails that might be considered too short for adult hikers, but which are the perfect length for young families. They also seldom appear in regular hiking guides, so to see the smaller trails gathered together here is nice. Tips listed with some trips point out interesting details, such as whether a hike is a good spot to find blueberries, or if there's a nearby playground...."
"Chase publishes second family-fun book. If you are looking for some family fun in the Adirondacks, Diane Chase has some good advice for you. The book is a four-season guide categorized by town and season with maps, tips, trivia and more. It includes descriptions of 58 easy hikes, 33 swimming areas, 30 historic sites, performing arts centers, apple picking, ice skating and other activities. 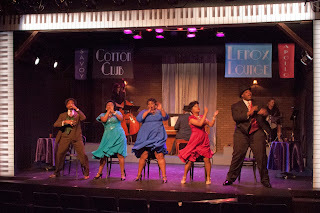 The emphasis is on families having fun." 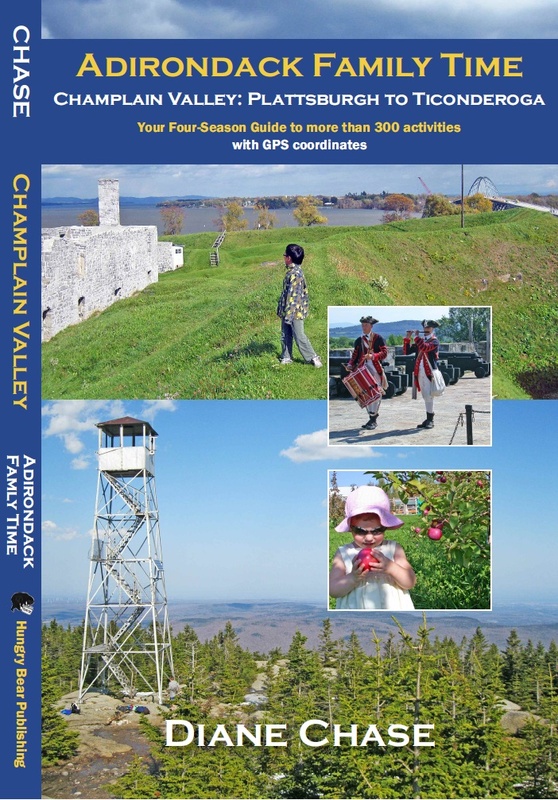 Valley: Plattsburgh to Ticonderoga,” a four-season guide to 300 activities with GPS coordinates.This book offers fun family-outing ideas for each region. It is about exploring. In this book she travels the Adirondack coast: Plattsburgh, Willsboro, Essex, Westport, Elizabethtown, Keeseville, AuSable Forks, Port Henry, Crown Point and Ticonderoga. There are 58 easy hikes and 33 swimming areas, including beaches and favorite local swimming holes." "This book is so thoughtfully and coherently organized that it makes it easy to plan outings tat will be enjoyed by diverse generations of family members and friends, and I heartily recommend it to all who traverse this extraordinary region." "We could spend a lifetime and only get through half of the wonderful activities. Easy to read, chock full of information, creatively organized, intelligent and remarkably thorough, this book is a must-have for any family eager to explore the area's amazing riches. I can't wait to start using it with my family." "Very handy resource whether you are traveling around the Champlain Valley with the kids, dogs or the whole family. Love the trivia." "Chase describes 58 hikes, 33 swimming areas, 30 historic sites and other family-friendly activities, with options for all four seasons. Unlike most hiking guides, which focus on longer backcountry trails and wild areas, this book includes many "mini-hikes and walks," little-known trails that might be considered too short for adult hikers, but which are the perfect length for young families. They also seldom appear in regular hiking guides, so to see the smaller trails gathered together here is nice. 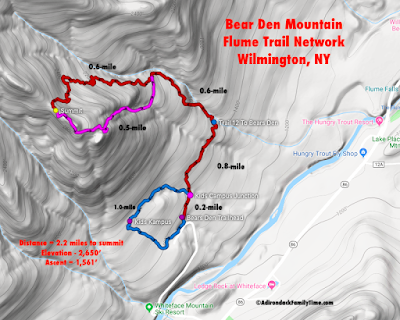 Tips listed with some trips point out interesting details, such as whether a hike is a good spot to find blueberries, or if there's a nearby playground...."